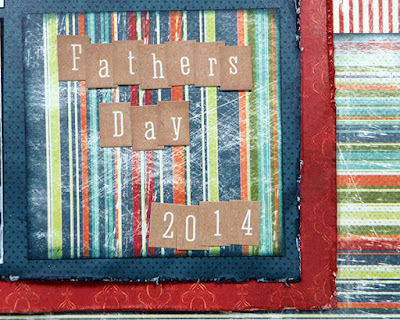 Blog Quick Quotes: Father's Day Inspiration with Susie! 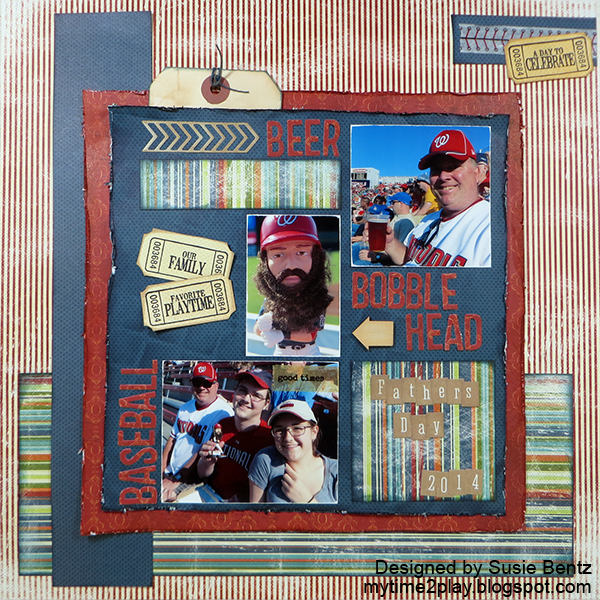 Father's Day Inspiration with Susie! Hello and welcome! 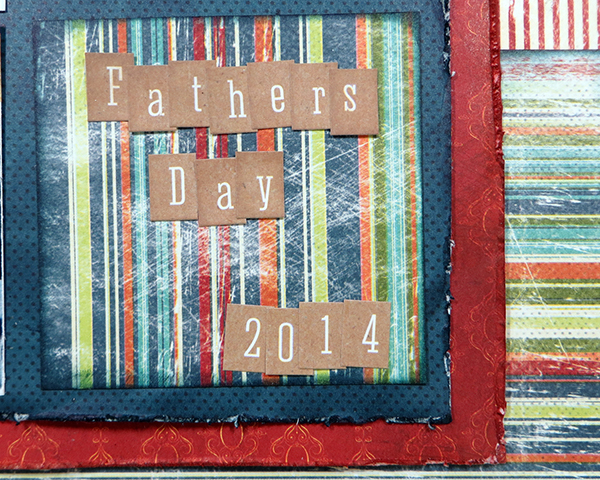 Susie here today and I am sharing a Father's Day layout I created using the *new* Earth, Wind and Fire Collection! 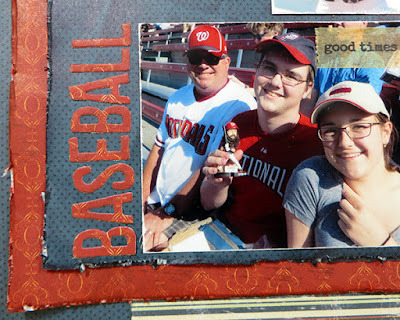 Some of our favorite family time revolves around sports. In this case we played spectators as we took "Daddy" to see a minor league baseball game. The colors in the Earth, Wind and Fire Collection were perfect for the photos I wanted to include! 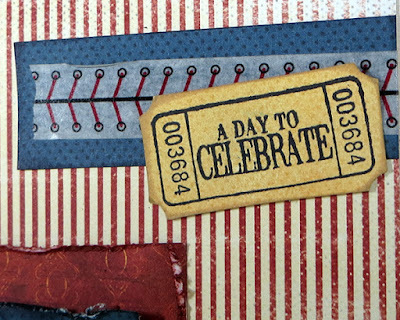 Here you can see I distressed and inked the edges of the large squares of paper in the center of the layout. I used Navy and Barn Board PowderPuff Chalking Inks. 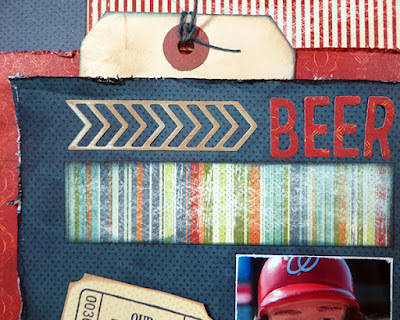 I die cut the letters from one of the papers in the collection and tucked a tag in for some hidden journaling. Here I added a hand stamped ticket and a strip of washi tape in the upper right corner. Here are just a couple more shots to show you some detail. I hope your Father's Day celebration is filled with happy memories!